On my final week of three weeks on night shifts, the jobs I was working coincided nicely to mean I was finished early on the Thursday morning and only had a very short amount of work to do that evening. I therefore caught the first train down to London in search of some sun. The BBC had been going on all week about how nice the weather had been; well as usual they meant down south, and in Lancashire we had barely seen an hours worth of sun all week.. I have to say that once south of the Thames I didn't see a single cloud all day! The forecast had been for it to be best in the very south-east so I went down to the Sussex Coast, an area I both know well and have photographed many times. There were a few Wetherspoons I needed to visit, and being on nights I had to do them early on, so just gone 10am found me in Chichester where there are two. I already knew before I left Preston that the stone working to the sidings to the west of Chichester station was running, however with the sun out the light is totally wrong for it's departure time. It has a path at both 1041 and 1141. With a Great Western 158 having failed at Shoreham causing a back-log of trains, understandably the signalman wouldn't let it out early, so instead of waiting I went to the second Wetherspoons and then headed to Littlehampton, where there's another outlet. The train I caught from Chichester, another of the class 313s draughted in a few years ago from North London, was booked into platform 1 at Littlehampton (according to 'Live Departures' on the internet), with the following London train into 3, which is the best for a picture of an arriving train with Littlehampton's semaphores included. However we went into platform 2 and the London into 1, so if you ever go there don't believe what the internet says! 40 minutes later though a late running London service did come into the correct platform! 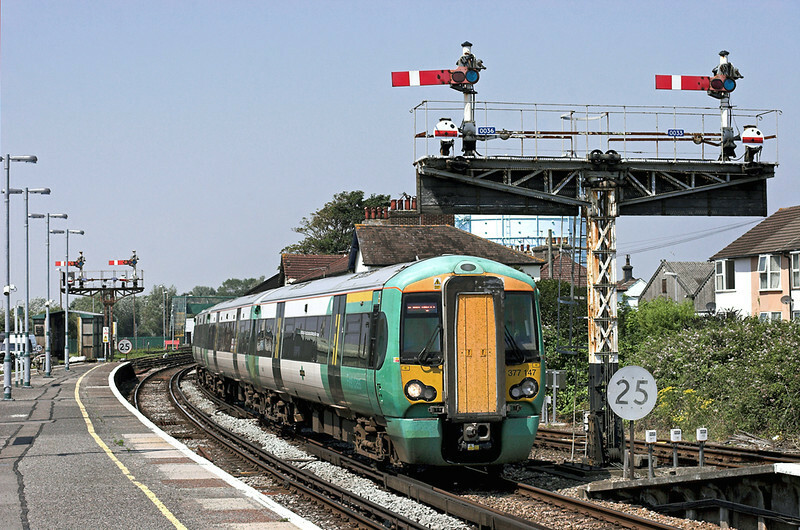 Next it was on the train to Worthing, my old 'home' town where I lived for about 3 years. Those familiar with my blog will have noticed I have been scanning in my old bus pictures from the time I lived down that way, and after a visit to the two Wetherspoons that now exist in the town, I had half an hour taking some bus pictures on the seafront around where the depot is located. Whilst the depot hasn't moved (it is located next to the 'Dome Cinema' on Marine Parade), the main building was demolished a few years ago. To me this was a shame as it was a fine building, matching the other two still existant at the rear of the site; it was pure Southdown in origin and featured heavily in the film 'Wish You Were Here' about a young local girl who was fairly promiscuous. The main character was quite scarily reminiscent of someone who used to hang round when I worked there! My intention at the end of the day was to finish off at Salfords, just north of Gatwick Airport on the Brighton Main Line, to get a selection of 'stock' shots of both the Gatwick Express class 442 'Plastic Pigs' and also of the Thameslink 319's and (more importantly as I've not many) of the 377/5s. Enoute I changed trains at Haywards Heath and Three Bridges; at the former I was caught unawares by 73207 arriving, and stabling. I had the wrong lens on for the line it appeared on. It seems it ran light engine from Tonbridge to Gatwick. Given what I saw at Salfords later it is possible that there was a class 442 failure which it was called out to assist, but then stood down as it wasn't needed. It went into the siding at the south end of the station and shut its engines down. 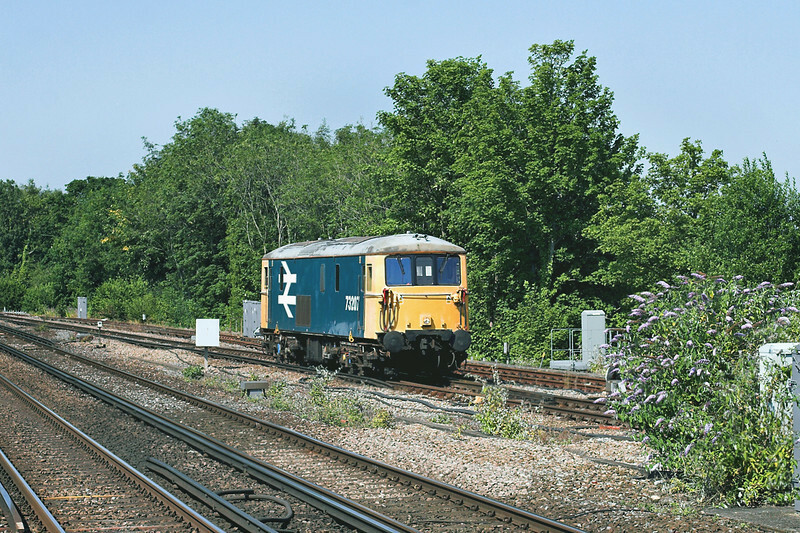 Any shot of a class 73 for me is a bonus-I've only got 12 in total (see them HERE), though the picture was a very heavy crop. Reaching Salfords under an hour later I had only been there 5 minutes when class 460 number 07 headed south on the 1615 London Victoria to Gatwick service. I wasn't aware any of these were still being used, though a failure of a 442 would explain both this and the calling out of the 73. 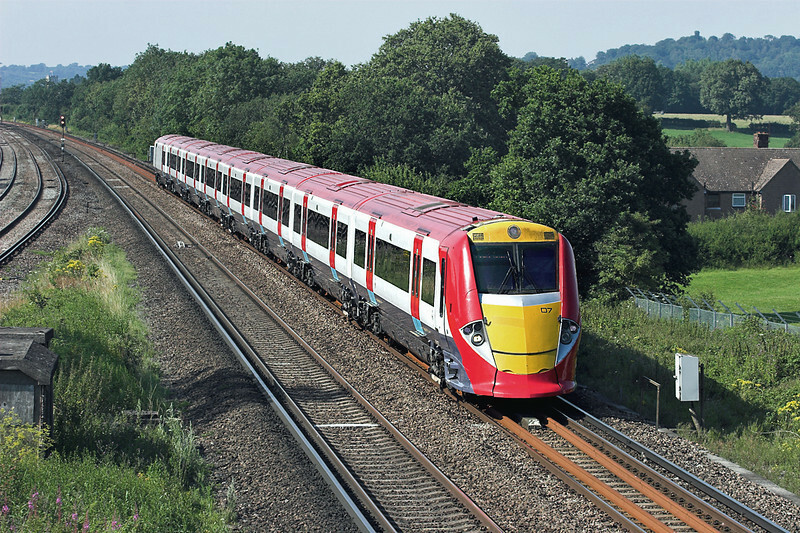 They are due to be decommisioned soon as class 460s with most of the coaches reformed and even rebuilt to extend the currently 40-strong 4-car class 458's into 46x5 coach trains. So it was back to work Thursday night; it was a good day out and as I wasn't 'chasing' too much in particular it was a fairly relaxing day, despite the temperature! 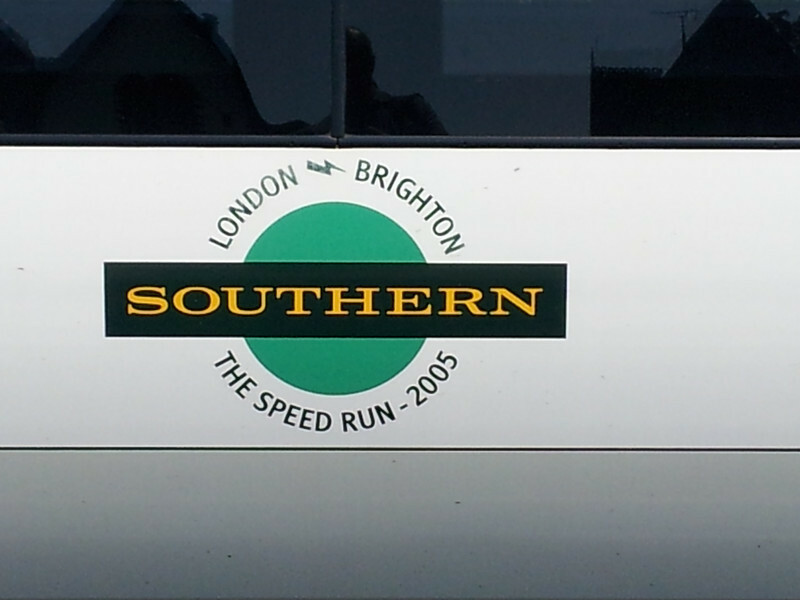 I'll leave you with a picture of the 377 that conveyed me from Littlehampton to Worthing, not that it broke any records. Bye for now! Welcome to the second part of Blog Number 21. I really must stop doing all this Part 1 & Part 2 stuff as it's confusing me what number I'm up to! For anyone that missed the initial bit of this blog, covering the first 3 days of my recent trip to Hungary﻿, please click HERE. So, the fourth day of our trip included a move from our hotel in Györ to a new one at Székesfehévár for the remaining two nights, and it was also the day we planned to nip over to neighbouring Slovakia for a few hours. Komárom is about 20 minutes along the main line towards Budapest from Györ and it is on the banks of the River Danube, which marks the border between Hungary and Slovakia. It is, I'm fairly sure, the first time I've ever walked over an international border, and it is only about 30 minute walk to the Slovakian station in neighbouring, and somewhat similarly named, Komárno. Below is the group photo of us at the half way across the bridge; I'm stood in Hungary (Magyar), the other two in Slovakia. 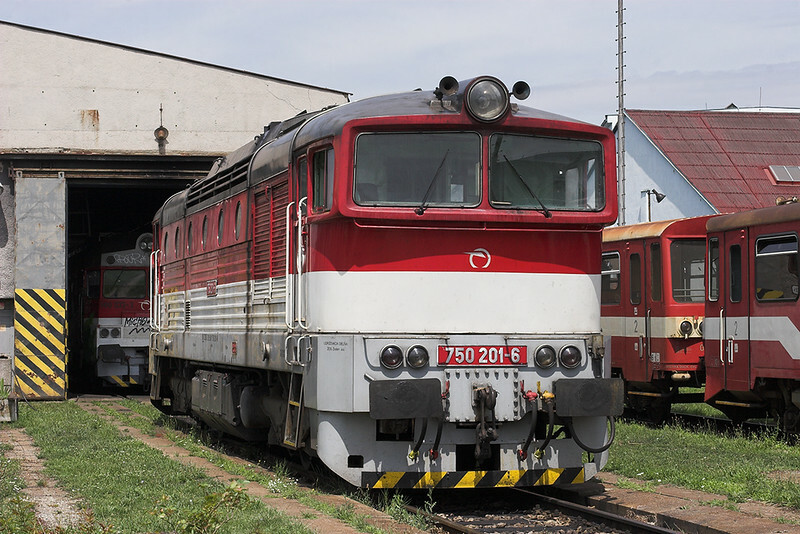 The main purpose of the visit across the border was to take the 30 minute train ride to Nové Zámky, which has a large Motive Power Depot next to the station. It was a very productive 30 minutes or so spent there. The depot is accessed through a tunnel from the station subway and no one seemed slightly bothered that we were wandering round taking pictures. Nice to be somewhere where the dreaded Health and Safety we suffer here is, whilst not exactly ignored, just common sense reigns. So back to Hungary once again via Komárno and Komárom, and a few hours spent photographing on the mainline once again. We bumped into a group of English Enthusiasts who had heard one of the elusive Floyd 86s was heading east. We waited as long as we could, but had to give up in the end as we needed to get the train towards Budapest in order to make connection at Kelenfeld to reach our new hotel in Székesfehévár. Whether it did come in the end we shall never know I guess. The Hotel Platan is a really nice hotel, only a 5 minute walk from the station (although we went a rather long way round to get there first time!). I'm sure Székesfehévár, twinned with Chorley in Lancashire, is also a nice town, but we didn't actually manage to find the centre. The next day we headed along the line towards Tapolca which follows the north side of Lake Balaton. This is the largest lake in Central Europe at almost 50 miles in length and is basically Hungary's seaside. 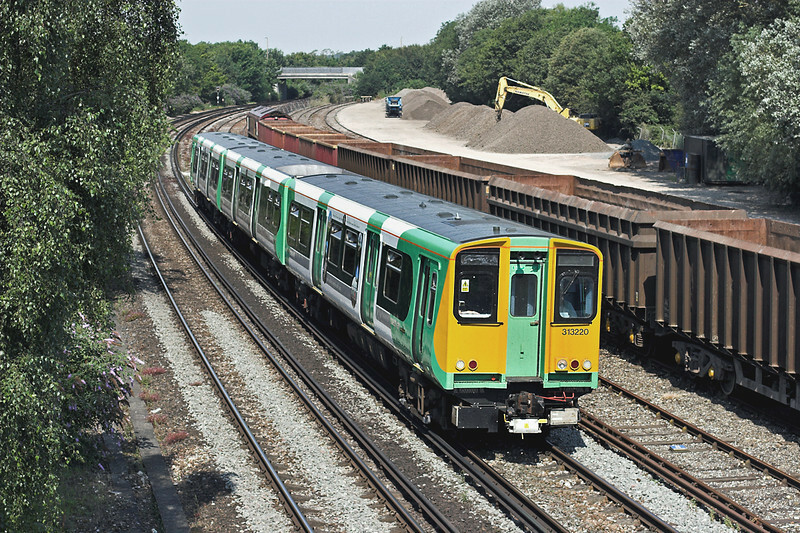 The line along the north shore is diesel hauled and mainly single line, however it has (in theory anyway) pretty much an hourly service. I say 'in theory' because the train we caught there got delayed for over an hour at a station in the middle of nowhere by what we think was a fatality at the next station. This put the timetable into chaos for the rest of the day. As there was obviously going to be a backlog of trains heading east, we jumped off at Balatonfökajär-Felsö, which is somewhat smaller than the name suggests. In fact there's sod all there really apart from a nice little farm crossing a short walk down the track. After a few pictures there we continued on to the side of the lake itself. There doesn't seem to be many locations where you can get both train and lake in shot at the same time, so we got off at one of the main resorts, Balatonalmádi. We had time for a beer in a small lakeside bar before the next train was due. Richard then decided it was far too hot to take anymore pictures so went looking for a beach to go for a swim; Tim and myself found a bar on the station where we could sit in the shade and have another beer whilst waiting for the next train back towards Budapest. After many beers (the next two eastbound trains didn't turn up), Richard returned from his swim so we all boarded the next train back together. I'd intended to go past Székesfehévár to get a few shots on the busy line between there and Budapest. I'd spotted a good location near Kápolnásnyék station, though with the earlier delays I only ended up with an hour there and it had gone a bit dull (though no cooler). 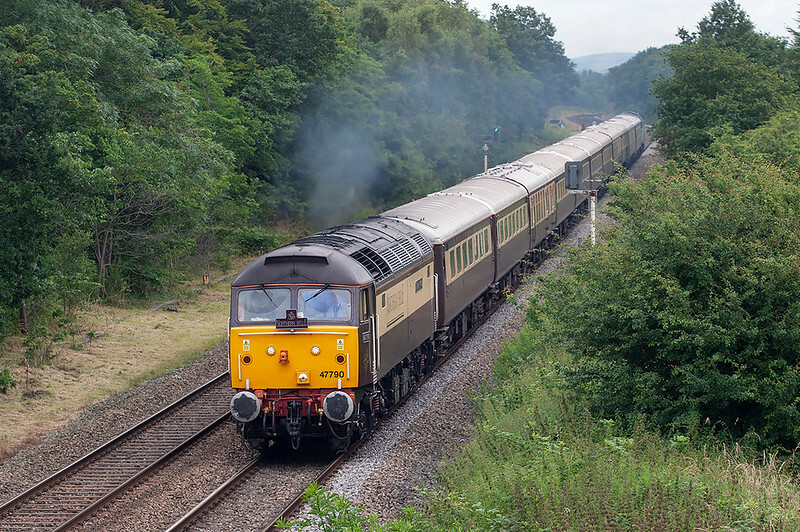 Still, there were no fewer than 8 loco-hauled trains in that time: being cloudy meant shots both ways were possible. The final day was a morning spent in Budapest itself, heading slowly towards the airport. 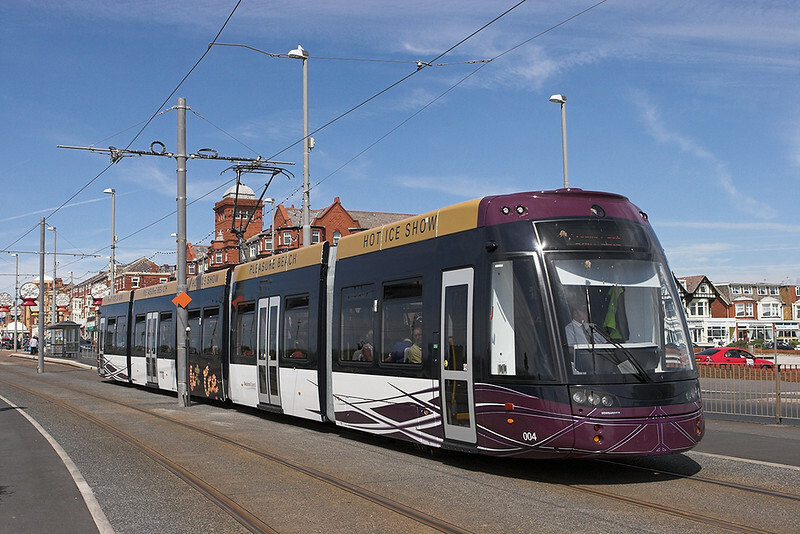 In common with many European Cities there is an extensive tram system and also an Underground. We caught the tram a few stops from Déli station to Varosmajor where there is a cog railway. For some reason, probably because I didn't know the topology of Budapest, I hadn't given any thought to WHY it was a rack railway. Needless to say it's because it goes up a hill! Obvious really. At the top of this hill there is another railway, the 'Budapest Childrens Railway'. This is basically a tourist line, though it is operated by MAV the State Railway. The majority of staff are children aged 10-14. It is possible to do a circular tour by using the Cog Railway to reach the Childrens Railway at Széchenyi-Hegy then returning on the tram from the far terminus at Hüvösvölgy. We returned back down the hill on the Cog Train though as Richard had to get the Railjet to Vienna for his flight; myself and Tim had a few hours to get some tram pictures as we headed across to Nyugati station for the train to Budapest airport. We ended up having to get a taxi as there was no movement of any trains, and we had no way of understanding any of the announcements! The taxi got us there in plenty of time, though I think Tim was starting to panic at one stage! Well that's the end of my waffling about the trip, I hope someone might find it useful if they are planning a visit to the country. Thanks for reading, please look out for the next edition of my blog, when (or if) there's ever any decent weather in Britain for me to be able to get out with my camera! I'll leave you with a picture of one of the funniest things I've seen in ages. 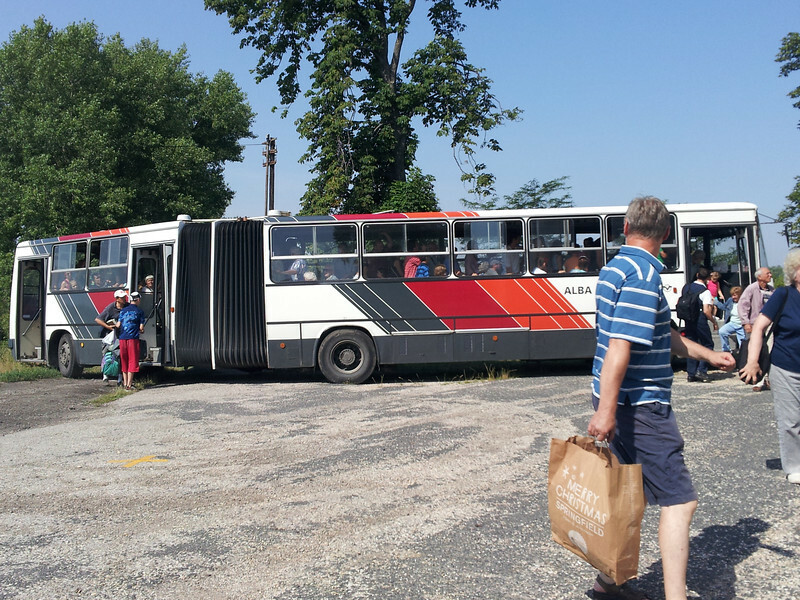 Whilst we were waiting at Polgárdi-Ipartelep for the fatality to clear, they ordered a rail-replacement bus. A bendy-bus turned up and, as it was obvious everyone wouldn't get on it, we didn't even try. Watching this overloaded articulated bus trying to do a 20 point turn on a farm track was hilarious and, half way through the manoeuvre, the line was cleared so everyone had to get off again. Bye for now! 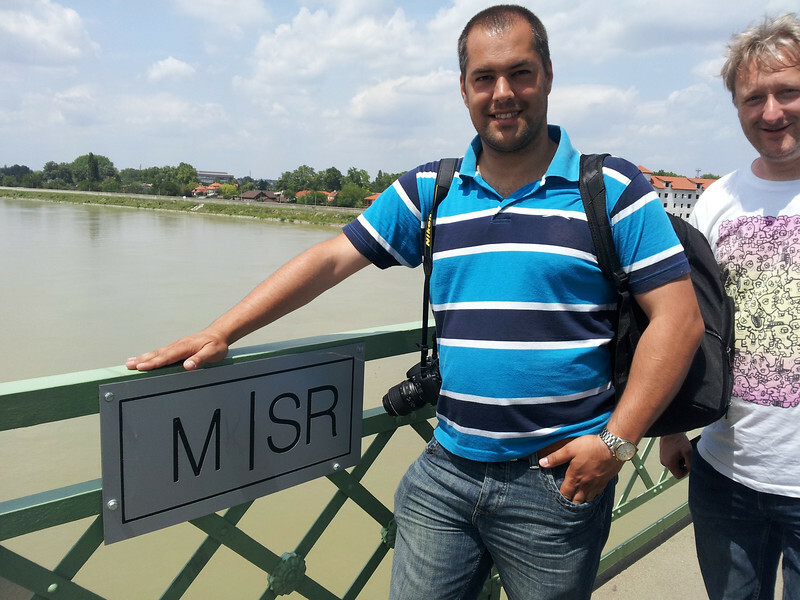 Welcome to Railwaymedia Blog number 21 which will, like number 19, be in two parts covering my 6 day long trip to Hungary, with quick visits to Austria and Slovakia. The things I will do to visit Wetherspoons I've not done before: I worked out that to get to Hungary I could fly via Vienna using an Easyjet flight from Gatwick where, in the South Terminal, there is a Wetherspoons you can only visit if you have a boarding card. Quite suprisingly for the south of England they were serving a really nice beer from Roosters of Knaresborough in Yorkshire.There's also two in the North Terminal, so I'm going to have to find an excuse to fly from there too! So it was off to Vienna, a first visit for me to the city. I timed the local train in from the airport perfectly, the advantage of just having handluggage, and met up with Tim Blazey at Wien Mitte station. We had a couple of hours for sightseeing and found a half decent spot to get some pictures of the trains heading into Mitte. It was mainly blue and white OBB units on the S-bahn, but there are also workings with push-pull rakes of double deck stock hauled by Taurus Electric locos. Around the city itself there is a quite large tram network using a mix of old trams (seen above), dating from as far back as 1966, and more modern articulated ones. 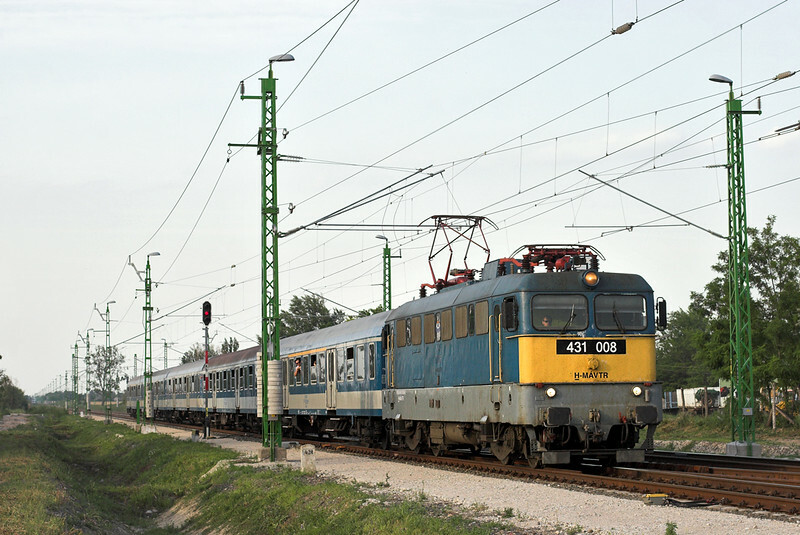 The trip to Hungary was onboard one of OBBs flagship trains known as Railjet. 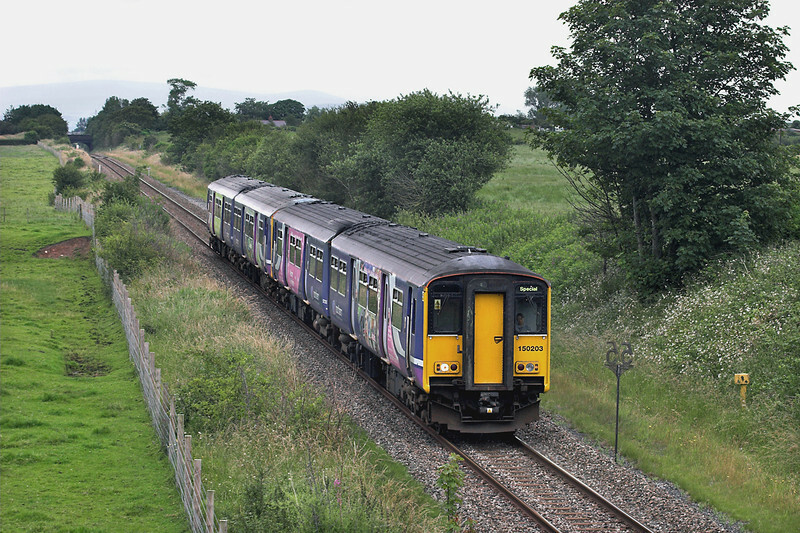 These are Taurus hauled push-pull rakes of 7 coaches and, in common with most European trains, are much more comfortable than anything built for Britain in the past 20 years. 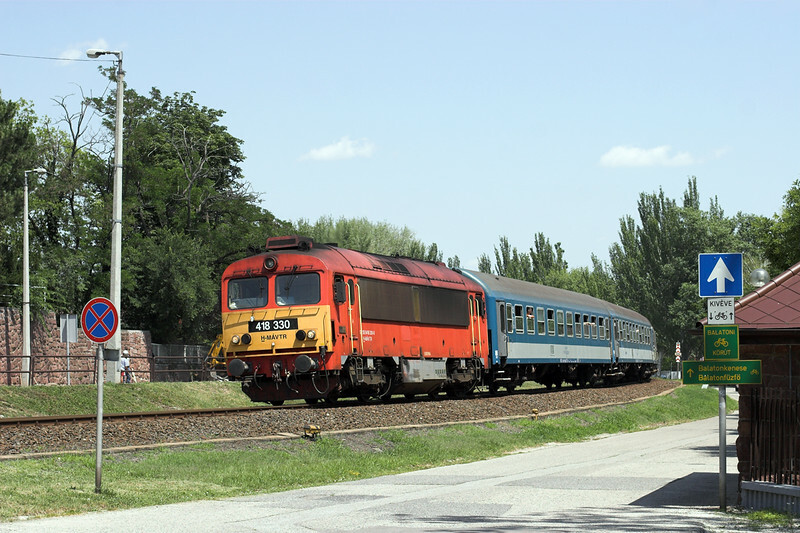 We did actually see a pair of ex British class 86s, two of the six that Hungarian operator Floyd currently owns, at the border station of Hegyeshalom. Unfortunately though it was the only two we did see all week despite much time spent by the mainline. Our hotel in Györ was straight across the road from the station and the restaurant adjoining it, branded as a Belgium Beer Café, was a good place to end the day. Especially as its drinks menu lived up to the restaurant's name! The hotel itself is a reasonable place to be based and we were able, after a leisurely breakfast, to get out the next day at 0830 to catch the local train along the mainline towards Budapest. A little research had shown that Ács might be a reasonable place to get off at, and indeed the level crossing to the west of the station is a good morning location for stuff heading east. Tuesday was the only day when clouds were a real problem with about 50/50 cloud cover and, needless to say, 80% of trains arrived when the sun had disappeared. There is a good variety of trains on this route, with stoppers every hour, usually formed of modern units, and one or two expresses as well. 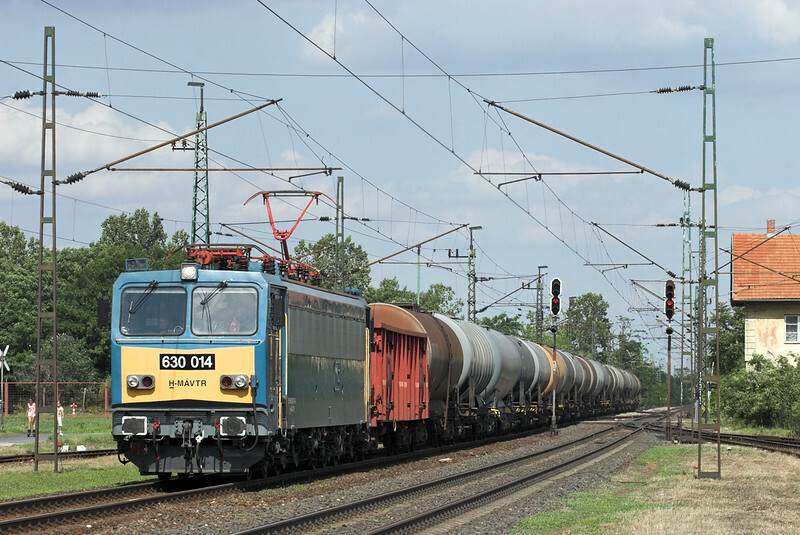 Freight trains probably totalled on average at least 2 per hour in each direction, and we spent the whole day on or near the line, our next port of call being the next station west at Nagyszent János. Wednesday it was decided we would go down the diesel operated line south from Györ towards Celldömölk. This has pretty much an hourly service, a mixture of semi-fasts from Budapest and stopping trains shuttling between the two towns. 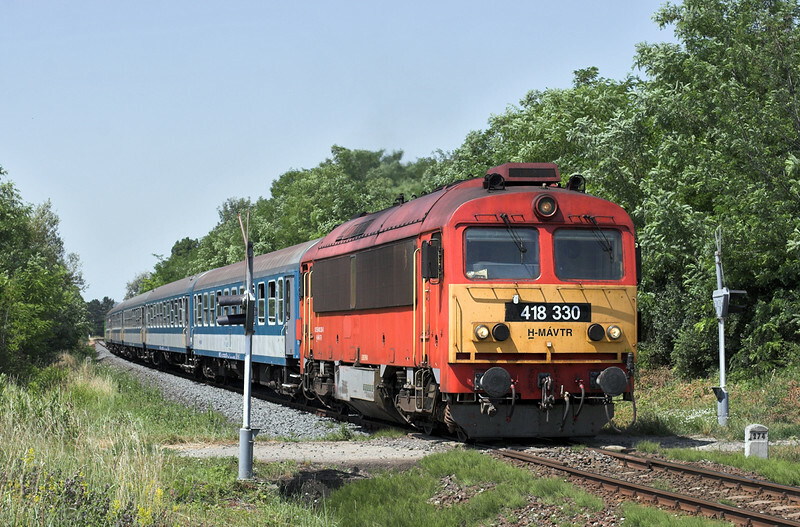 Only a couple of trains are operated by railbuses, the rest are hauled by the interesting Hungarian class M41 diesels (now renumbered class 418). Our usual policy is to jump off at a station where there seems to be a good view just before and, preferably, another train stops at somepoint later in the day. Richard who was with us had got himself stranded on his previous visit to the line and had missed his flight home so we tried to check the timetable properly. A little walk from Szerecsezvy station brought us to a half decent location. As we walked across the field to it we heard a rumbling approaching so a mad dash, and a grab shot, captured a class M62 on an unexpected freight train. Shame it wasn't 2 minutes later. 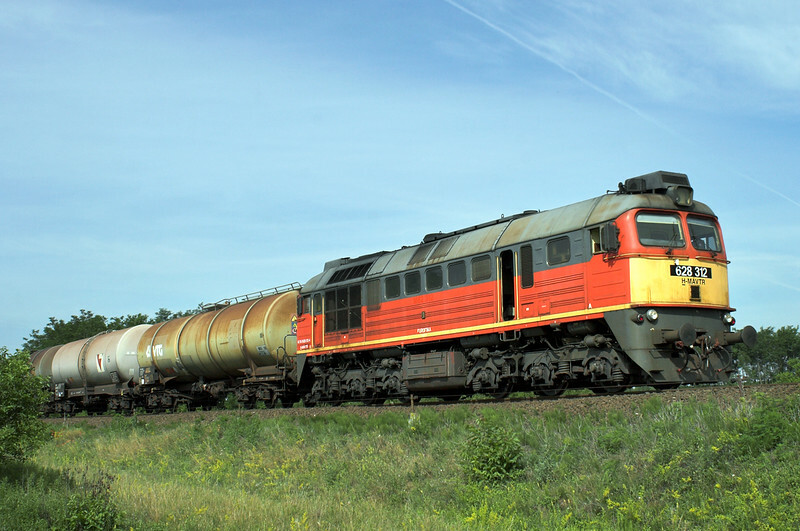 This was the first time I'd managed to see one of these classic Russian built engines. We could have got another shot of it later in the day too but we were in a pub at the time. We spent the next few hours on this section of the route before heading back towards Györ and jumping off at Gyömöre-Tét. Richard had told us there was a bar next to the station and, with an hourly passenger service, we could have a few beers and just nip out whenever a train was due. 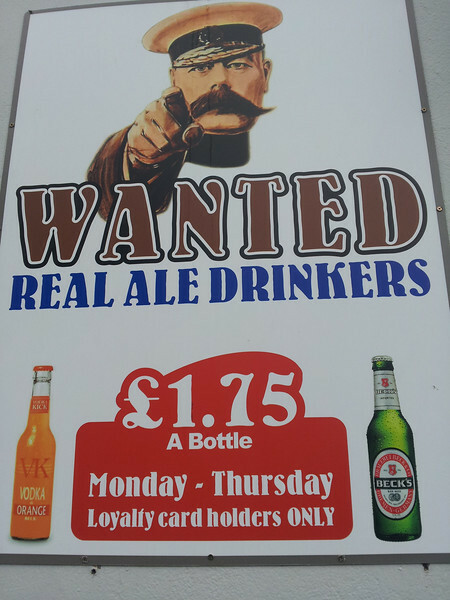 Unfortunatley the pub is on the wrong side of the line for the sun, hence why we missed the return of the M62. It is though a really good place to get some pictures mid to late afternoon with a nice view from by the level crossing at the station and also from the smaller crossing to the north. 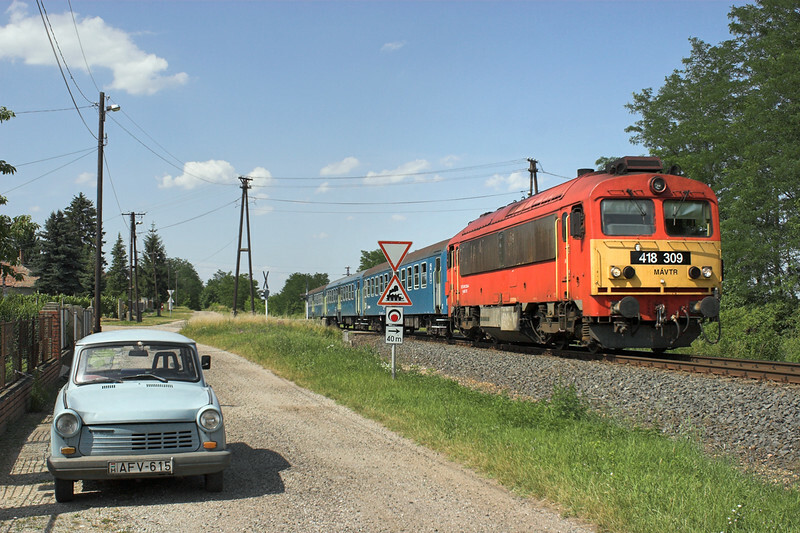 I went up there for one of the shots and was lucky to be able to include in the picture a resident's Trabant. Another piece of classic (if somewhat lacking in quality) Eastern European engineering. 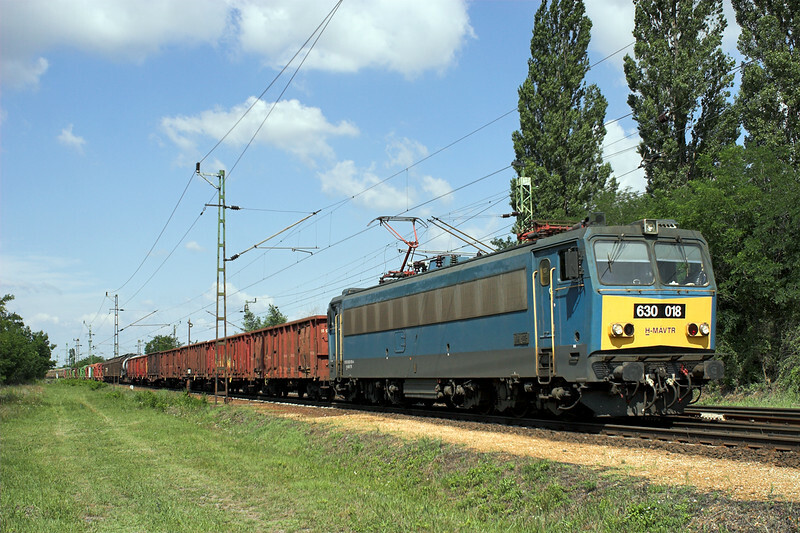 The day was finished off back at the previous days haunt of Nagyszent János on the mainline, in the folorn hope of an 86 appearing. We actually made the time on the return to the hotel to have a quick look round the town of Györ, and nice it is too, waking about half way over the bridge over the Danube before we gave up. Spain and Portugal were playing in the European Championship that night so there were big screens up and all the bars were full, leaving us no choice but to return to the Belgium Beer Café. On the up side, it meant Tim could have another bottle of 8% Kwak. I'm half way through processing the pictures from the trip, 3 days down with 3 to go, so therefore part 2 of this edition of the blog will have to wait a few more days. I'll leave you with a team picture from the nice bar next to Gyömöre-Tét station. The crossing barriers are behind us but just not quite visible from where we were sat, hence why we missed the M62 hauled freight! Bye for now.